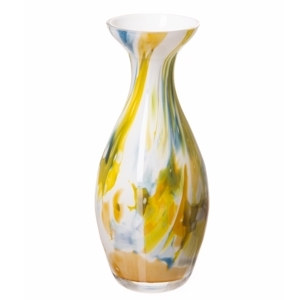 A bottle shaped slim neck glass vase with a blue/green/amber pattern on white. 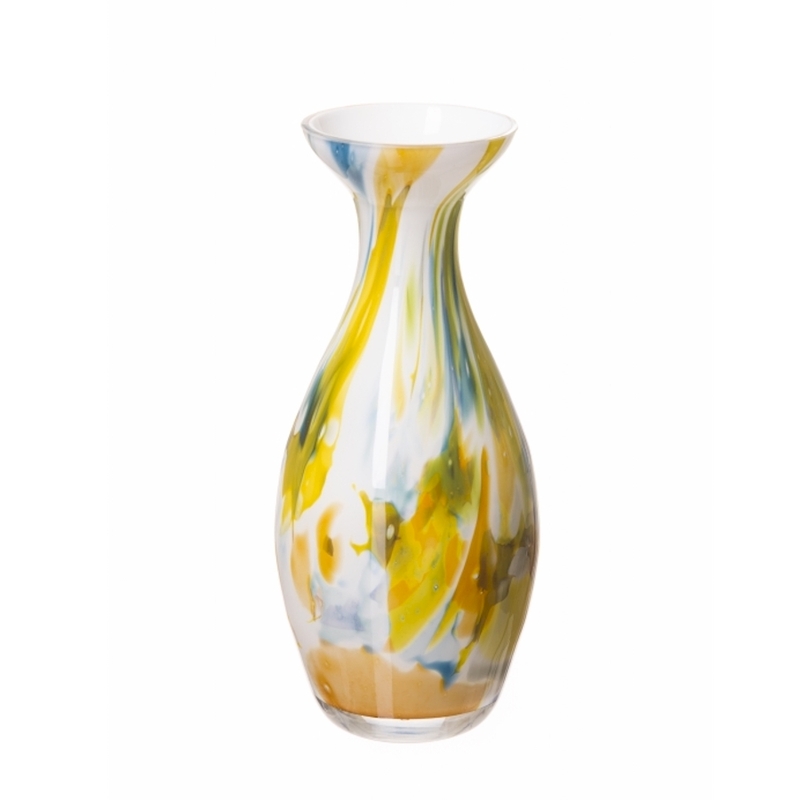 Please note that these pieces are individually made by hand, which means that while the general colour and appearance of each vase will be the same, the exact pattern will vary slightly between pieces and may therefore not be exactly as the image. 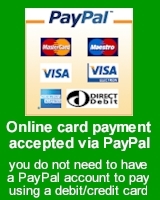 Please call during opening hours if you need any information on this.